OTAs, by definition, are online platforms that lets consumers book travel-related services over the internet. The rise of OTAs was an attempt for these travel agents to go large-scale due to the rise in demand and the lack of a platform to showcase these services. They can be called as middlemen of the hospitality industry connecting hotels and their prospective guests.. Confusing, aren’t they? One look at these statistics and it’s safe to say that the weight doesn’t fall on either OTAs or direct bookings. The strategy is to strike the right balance between the two, but that’s a topic for another time. The first impression is the last impression: In a world where people make impulse purchases just by the way the product looks or the way it is described, the same strategy applies for hotels and the services you offer. Good photographs of the property, rooms and the amenities, backed up with a description that will make them want to visit is key to success. Location is Key: Now, I know you can’t change the location of your hotel, and that’s not what I mean. Tourists, usually, look for a hotel that is located not too far from the main areas of interest. A clear description of your hotel’s location and the distance from these areas should do the trick for you. Integrate: Your Hotel Management System and your channel manager need to be integrated to make the best of the situation. OTAs such as Booking.com, have a cancellation rate of around 30%. This means, in case of a cancellation you will have to manually update your inventory again or the room will show as booked and that may result in a loss of an opportunity. The Channel Manager- PMS integration could help you update inventory in real-time, making sure you do not miss out on an opportunity to fill up your rooms. Trick of the trade: Here’s a tip that might not seem like much but will always be a good rule to follow. Trademark the name of the hotel with your location. Take for example: The Golden Hotel – Madrid. Why this makes sense is because you can stand out over the other Golden hotels around the world or in your location. Giving your hotel its very own identity, is going to put you out there. 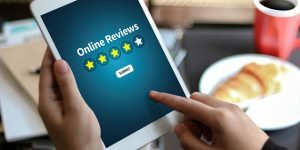 Choosing the right OTAs to list your hotel on:Depending on whether your guests are tourists or locals looking for accommodation, you can start planning your listing strategy. Every country may have OTAs that are famous to that particular region. So, finding out where a majority of your guests are coming from, could be the right step in this direction. If you are uncertain of where to start, find out where most of the tourists flocking into your city come from and approach it accordingly. Limit the OTAs: Yes, you heard that right! Just because we’re talking about boosting your OTA strategy doesn’t mean that you need to let them take over. On every booking that comes from an OTA, your hotel pays a commission. Too much of a dependency on OTAs may not be the best idea as you may lose out on the revenue that you should be getting. Let the direct bookings help you out here. If you do like the content we are curating and would like to know more about striking the right balance between OTAs and direct bookings, let us know in the comments section and we’ll make sure this content reaches you. "How to make your OTA bookings more successful? ", 5 out of 5 based on 2 ratings.